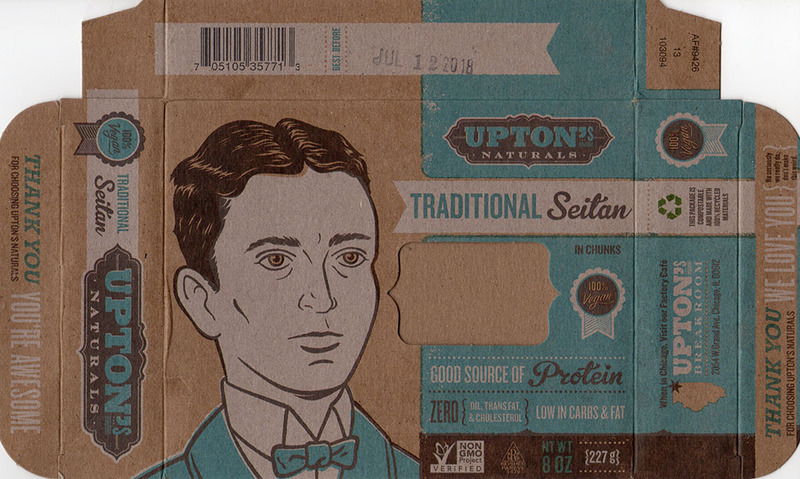 Is Upton's Naturals Traditional Seitan any good? Yes! 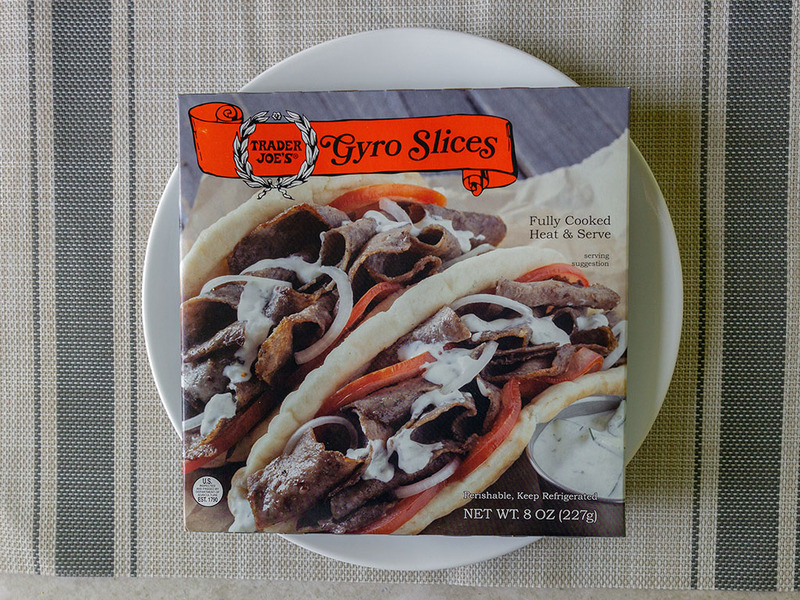 If you don’t want to make your own and want to get to grips with this meat substitute – while relying on a dependable and quality manufacturer, Upton’s Naturals is a great choice. I’ll make no bones about it, I’m a self confessed fan of Upton’s Naturals. 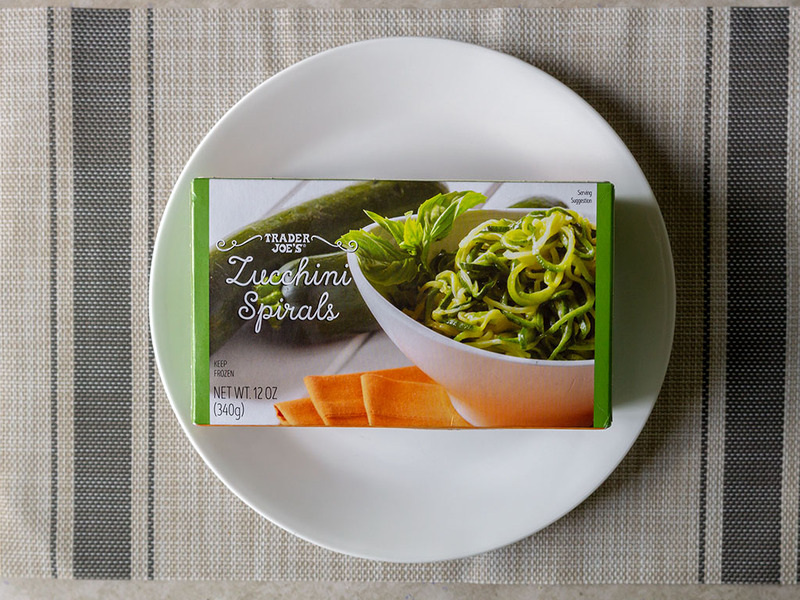 From the first moment I spied one of their beautifully packaged products I was hooked. Ever since, I’ve been exploring their product line, piece by piece as I’ve found them. 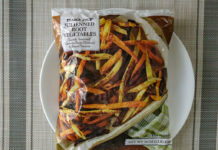 For the uninitiated Upton’s are based out of Chicago and focus on vegan friendly products – each packaged with that eye popping aforementioned packaging. 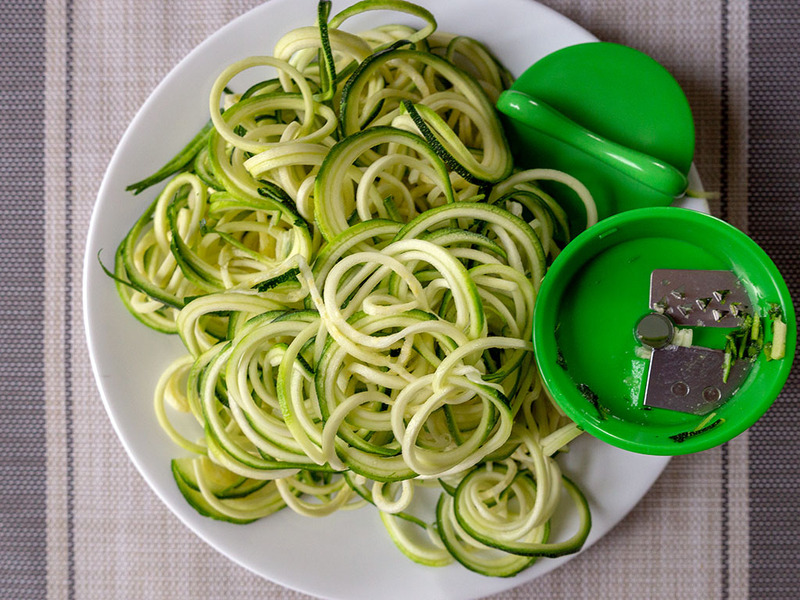 You’ll find their products stocked at big names like Whole Foods too, so they’re relatively accessible and easy to find. Upton’s products don’t seek to reinvent the wheel, and in some cases like their jackfruit options – you can find basic versions much cheaper. But. And its a big but. 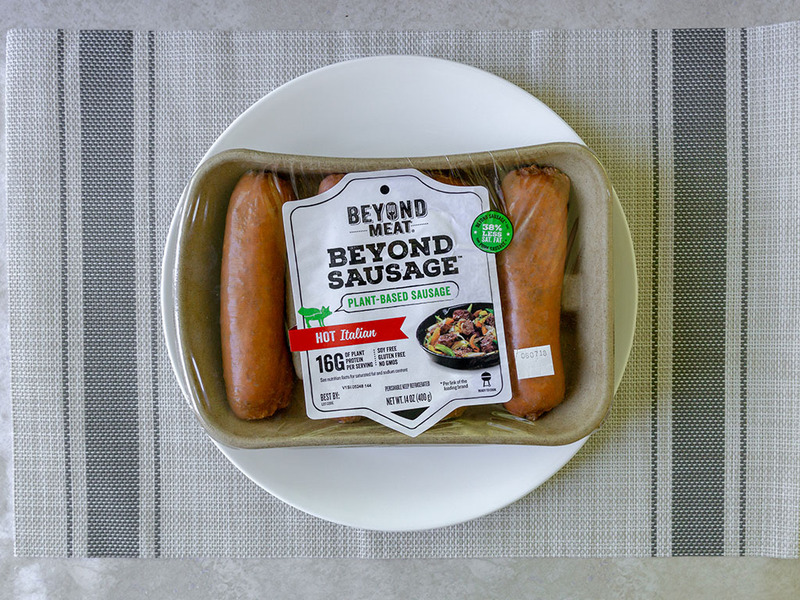 Upton’s offer a safe and appealing way to approach meat substitutes that some might otherwise find challenging. Not everyone is going to have access to a quality Asian market in their home town, not least feel brave enough to purchase that tin of jackfruit and cook it up at home with their own spice blend. That’s where Upton’s steps in for me, and case in point – this plain seitan. Sure, I have cookbooks on my shelf that I could use to make my own seitan, but I don’t typically have the time or patience for that. 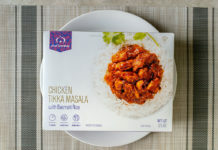 For the price (see below) I’d much rather grab a box of this Upton’s Naturals seitan and just get to cooking right away. The quality is always spot on and their reliability is critically useful in a busy/stressful kitchen! Flavor-wise, this is basic seitan, a fairly neutral wheat gluten palette of a thing. There’s nothing to shout about good or bad, and there’s nothing wrong with that, in fact it’s the point. 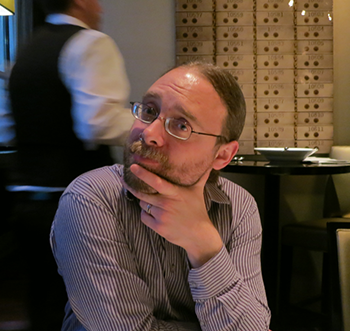 Seitan is by its nature a meat substitute that demands some extra work. Provided you’re happy working with big and bold flavors you won’t go far wrong. 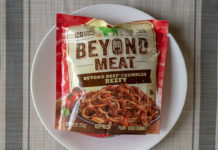 I love to work with seitan mainly for its firm and chewy texture, and this product delivers more than fine in that respect. This pre-prepared seitan is very easy to cook, essentially you just need to heat it through in the pan, perhaps with just a little oil. 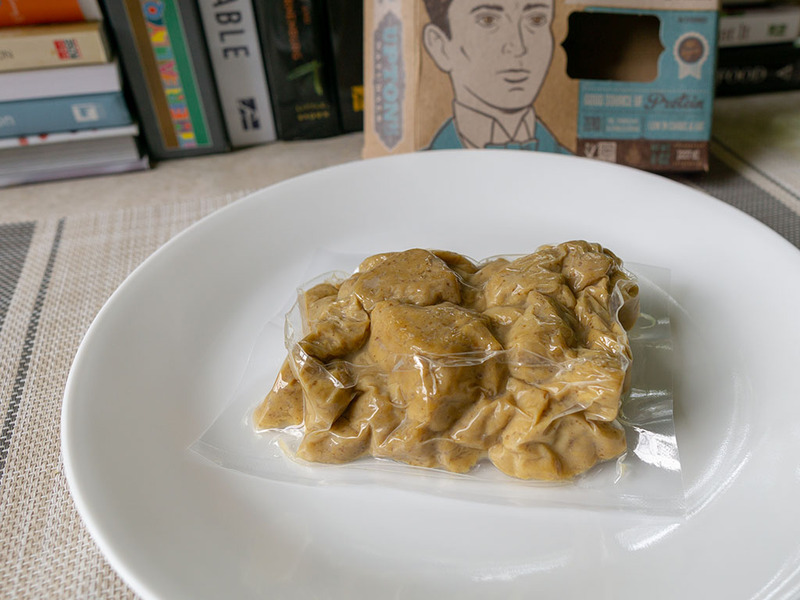 The seitan comes shrink-wrapped in a plastic sleeve, you’ll need to open this and all the seitan at once. It should keep fine for upto five days refrigerated once opened. Out of the plastic package, the seitan can be crumbled with a spatula into large chunks, think big pieces of chicken. From there you can continue to prod and poke the seitan into smaller pieces should you wish. 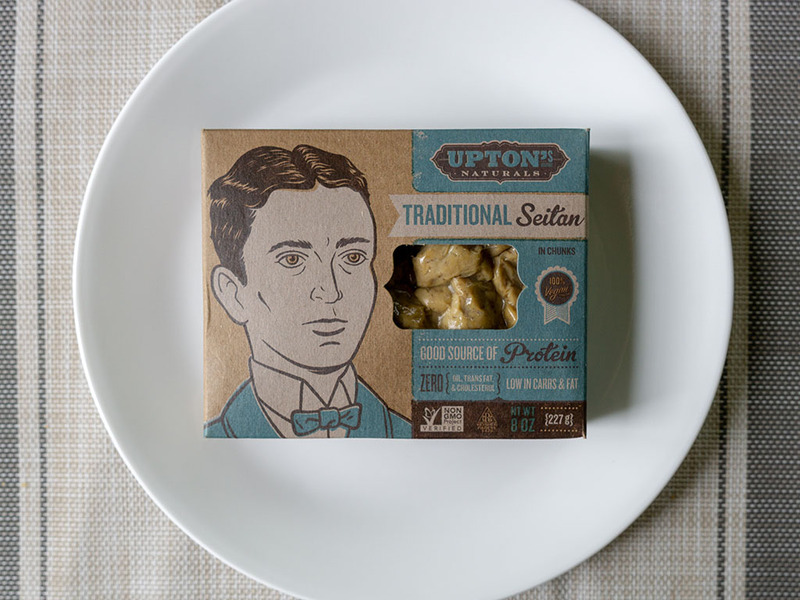 Upton’s Naturals Traditional Seitan – what’s a fair price? The best price I’ve found Upton’s Naturals Traditional Seitan so far is $2.95 a box from Natural Grocers – this was during a product sale at the store. 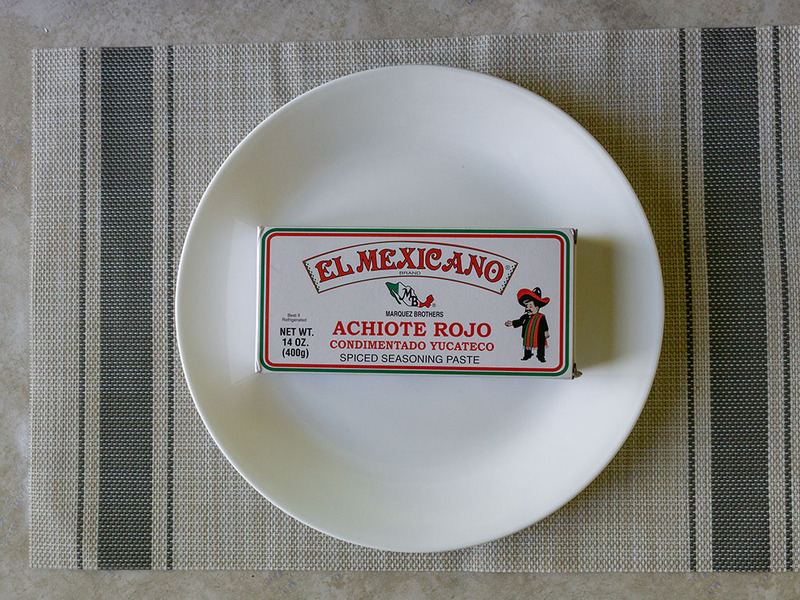 More regularly you can find it for $3.99 at Whole Foods. I think either price is reasonable, and it lasts for ages in the fridge unopened too. Always useful to have on standby. 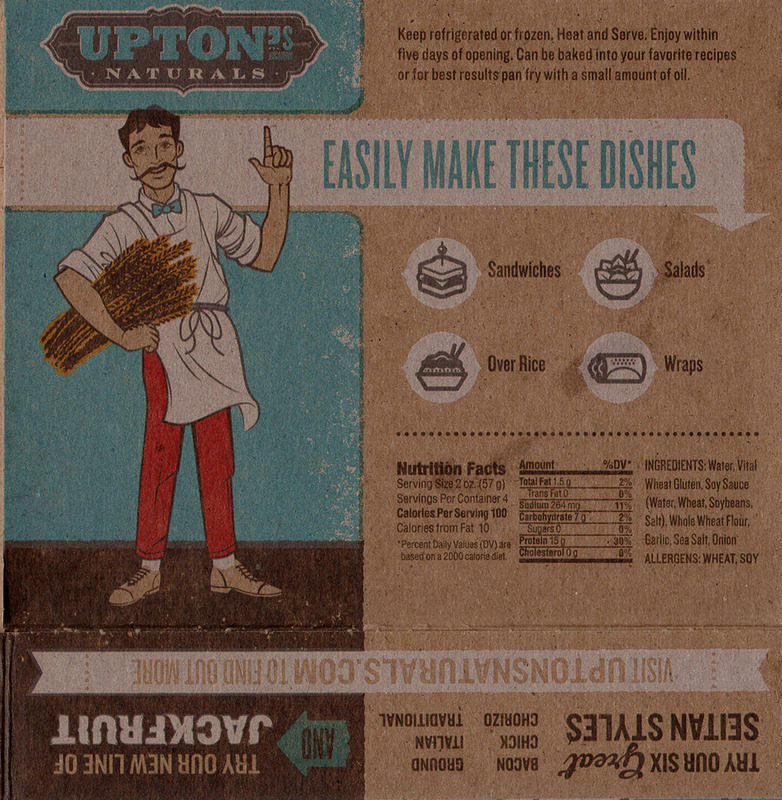 What can you make with Upton’s Naturals Traditional Seitan? Plain seitan, is, well, it’s just a bit plain in truth. My personal preference in using seitan is for dishes that have plenty of seasoning – cuisines that have punch and power. 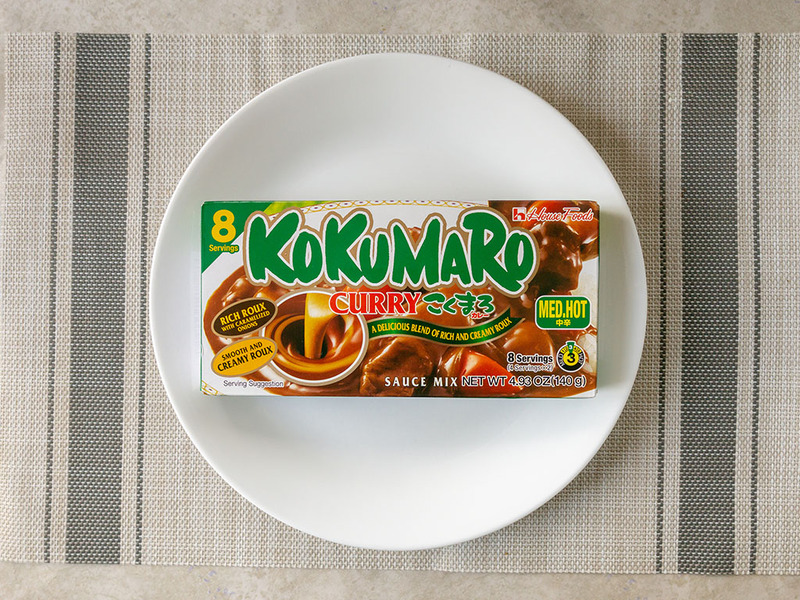 Think fiery Thai stir fries or bold Korean flavors. 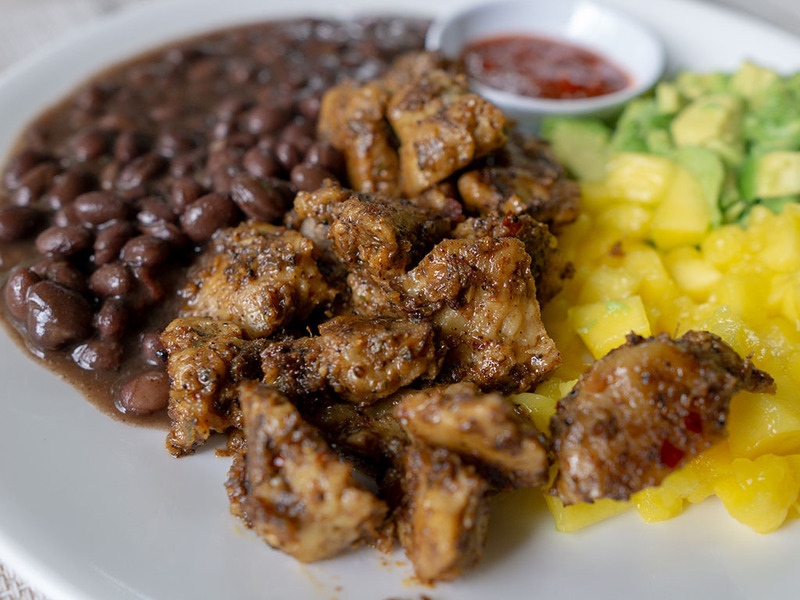 Below I’ve used it with some fresh jerk marinade (from Van Kwartel) to make a faux-jerked chicken plate. The jerk seasonings riotous mix of ginger, warm spices and citrus overwhelms whatever base flavor the seitan has; leaving it to just provide a fun textural chew for your dish. 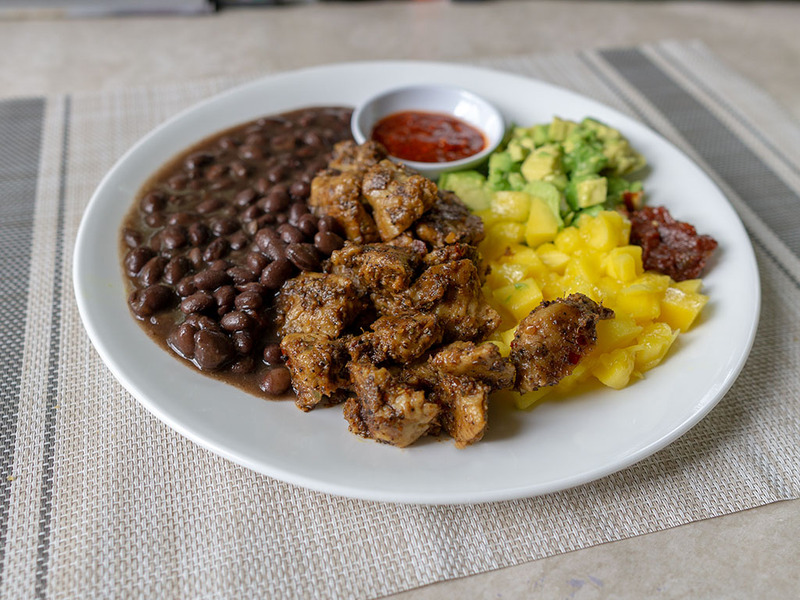 In the below dish I’ve served it with some seasoned black beans, diced mango, avocado and hot sauce.